The Nigeria Professional Football League (NPFL) and the League Management Company have questions to answer as to why there is a referee who has been banned from all football activities in the roster of the NPFL Referees Appointment Commission (RAC). 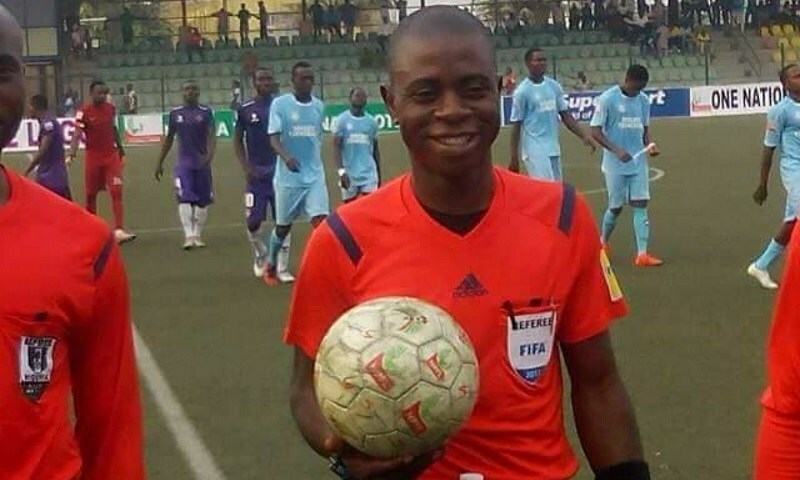 Joseph Ogabor was suspended by CAF for a year, April last year, for an attempted match-fixing allegation while officiating a match between Plateau United and MFM at the Agege Stadium, and has already officiated three matches in the 2018/2019; MD5 Rangers v. Enyimba, MD6 Sunshine Stars v. Remo Stars and MD10 Plateau United v. Kada City. It was not until Adepoju Tobi Samuel (@OgaNlaMedia) tweeted about the obnoxious development that the bodies in charge of the league decided to inform the general public the reason behind the Ogabor’s presence in the league. Ogabor himself should have asked the NFF RAC to make an official statement on his reinstatement in order to preserve his own integrity, considering that he was banned for a match-fixing scandal, but we find ourselves supporting a league that has little or no regard for due process. The lack of communication from the relevant bodies will make the League look mediocre despite seeking professional standards since it’s inception in 1972.